Similar to the reactions of the first trailer, a lot of people are not liking what they see with the new Hellboy movie as its Rotten Tomatoes score is in, in addition to it looking like a bomb at the box office for this weekend. Hellboy has a current 15% Rotten Tomatoes score, with 66% of the audience reporting they liked it. The 15% is a lot lower than the two previous movies from Guillermo del Toro which come in at 81% and 56%, respectively. Likewise, the new Hellboy has a "C" CinemaScore, and over at MetaCritic, it has a score of only a 31. Its box office this weekend is doing just as bad as the flick looks to come in at #3 with only around $12 million for the three-day haul. Again, this is a lot lower than the two previous movies that starred Ron Perlman, as they brought in around $23 million for the first film and $34.5 million for the second, so the David Harbour Hellboy is performing almost 50-66% less. DC's Shazam! is once again taking the top spot at the box office for this weekend with around $22 million, followed by Universal's comedy Little, which will bring in around $15 million or more. 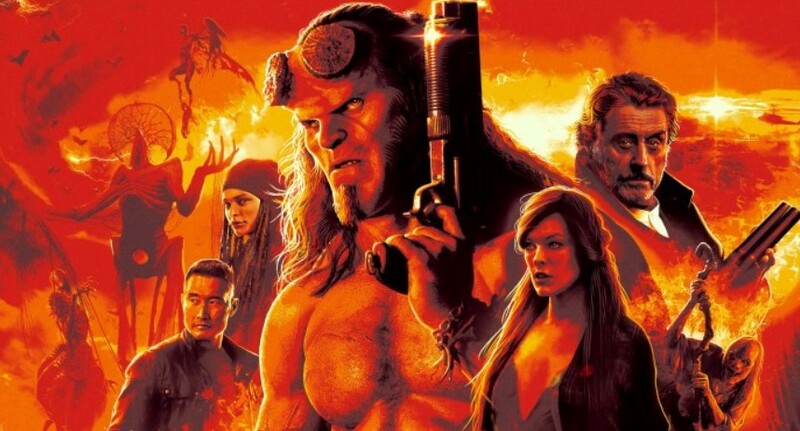 Hellboy is directed by Neil Marshall and also stars Milla Jovovich as Nimue the Blood Queen, Ian McShane as Professor Broom, Sasha Lane as Alice Monghan and Penelope Mitchell will play the role of Ganeida, an elder witch, with Daniel Dae Kim as Ben Daimio.